When there is a bout of really warm sunny days, it is nice to take a boat out to Grinda in the archipelago to swim in water that is salter and cooler than closer to Stockholm. I had a really lovely day out there, basking and swimming. Here are a couple of pictures from the boat ride to and from Grinda. 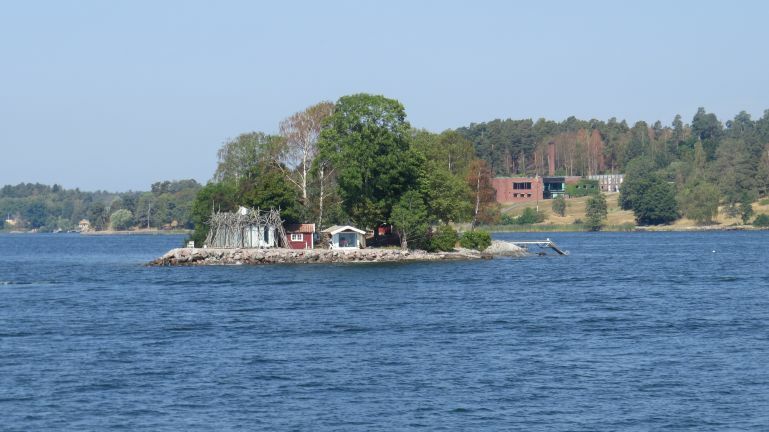 On this islet there is a small house and some other constructs.